Many homeowners feel as though there in a constant battle to stay ahead of all the maintenance around their property. It’s not hard to imagine that every weekend brings a new project. It could be something small like swapping out batteries and fire alarms or something bigger like clearing out the clutter from the garage. Those small tasks are perfect for a DIY approach. However, when you get into the bigger jobs there’s nothing wrong with asking for help. Junk King Palm Beach can be the perfect ally when it comes to removing big pieces of clutter from your home. This is the best way to take back that space! Suppose you were to try to do something as simple as get rid of an old sofa. That would require getting someone to help lift the sofa and carried out of your house. That is assuming of course your back can even handle that kind of lifting! Once outside that sofa will have to be loaded into a truck. If you can borrow a pickup or van, then you’ll have to rent one. That certainly is going to eat up a lot of your day. After the sofa has been loaded, you then have to drive around to find the best place dispose of it. Here’s a hint: it’s not a vacant lot! Once the drop off is complete then you have to return the truck and take care of your “crew.” Add it all up and it’s easy to lose your entire day off with this one project. The alternative would be to hire Junk King Palm Beach to accomplish the same task in a fraction of the time and cost. 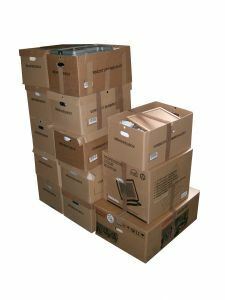 Junk King Palm Beach has a pair of very capable movers standing by to assist you with all your junk removal needs. This is the team who will be doing all the heavy lifting and loading. They will also take care of the disposal. For Junk King, that means making drop offs to charities or recycling centers. That’s just how they do things. As for the cost, if you were to shop around you’d quickly discover that Junk King Palm Beach offers the best deal for this type of service in the area. You don’t have to live with unwanted clutter and rubbish as long as Junk King Palm Beach is on the job! This entry was posted in junk removal and tagged Junk King, junk removal, sofa on April 30, 2016 by Dave Archer. Last updated August 11, 2017 . As you await the arrival of a new baby into your home, the concept of baby proofing might be on your mind. Technically, you’ll have a few months before that should be a genuine concern. It is going to take that long before your baby learns to crawl. Even then, you still won’t let them far out of your sight! However, there is some important prep work you can accomplish that will make a huge difference around your home. 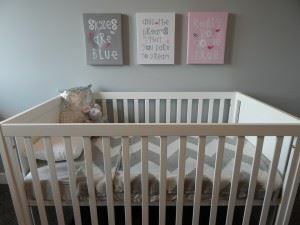 That would be clearing out the clutter to free up space not only in the nursery but in the rest of the house as well. The good news is that you can bring in Junk King Palm Beach to take care of this task and you won’t have to lift a finger. When it comes to any type of junk removal, Junk King Palm Beach is all about making life easy. That begins with having two dedicated movers assigned to your junk removal task. This is the team who will be showing up with a great attitude. It doesn’t matter if you need something heavy carried down from upstairs or need a bulky item taken apart; the Junk King team is going to do it with a smile! Making room for all baby stuff can start with clearing out the closets of your unwanted items. This would be all those clothes and shoes you have no intention of ever wearing again. Don’t worry about those things going to waste. If something is still usable, then the team from Junk King will sort it out and make sure it gets dropped off at those charitable organizations that can put it to use. Donating is also recycling and Junk King Palm Beach is all about recycling. Keep in mind that as long as the crew will be removing clutter from the inside of your home, they can also do a full sweep around the backyard. This is another area you’ll want to eventually baby proof but you can start by getting rid of yard waste, rocks, bricks and any other potentially hazardous item. 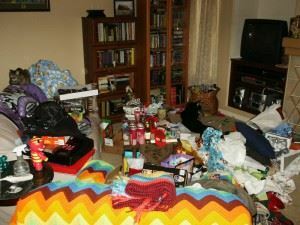 One call to Junk King Palm Beach is all it takes to have your home clutter free in no time at all. This entry was posted in junk removal and tagged clutter, Junk King, junk removal on April 24, 2016 by Dave Archer. Last updated August 11, 2017 . Spring-cleaning is on the agenda in a lot of homes around Palm Beach. Sadly, the allure of warm weather and all the fun stuff to do around town often becomes too much of a distraction. The cleaning is put off until the weekend and then the next weekend and before you know it, summer is here and nothing got cleaned! You can change all of that with one call to Junk King Palm Beach. By setting up a junk removal session, you’ll be able to jump start your spring-cleaning and have plenty of time left over to enjoy all that Palm Beach has to offer. Every junk removal session from Junk King is powered by two capable movers. This is the team who is going to be doing the actual lifting and loading of all your heavy objects. It doesn’t matter where those things are currently stationed. The Junk King team will go where you tell them to in order to pick up the stuff. You don’t have to do any “prep” work other than sorting through your things to decide what you want taken away. Knowing that the crew is going to arrive at a certain hour will compel you to get busy with that sorting. That might help you focus on the areas of the house where you have to clean. Or you can wait until the team from Junk King removes all the stuff so you can have better access to those areas. Either way, you’re going to be inspired to give your home a thorough cleaning. It might only take a few moments for the Junk King crew to load up everything you’re tossing out. As far as you’re concerned, their work is over when they pull away from your home. However, they still have a few hours left to take care of what they’ve collected. They’ll be making special donation drop offs to clear that truck. The goal is to keep as much stuff out of local landfills as possible. So far, Junk King has managed a respectable 60% diversion rate. That is helping Palm Beach stay green and pristine. Don’t put off your junk removal for another day. Give that job to Junk King Palm Beach right away! This entry was posted in junk removal and tagged Junk King, junk removal, sping on April 1, 2016 by Dave Archer. Last updated August 11, 2017 .